NuGet Gallery | Packages matching Tags:"force"
19 packages returned for Tags:"force"
The DeveloperForce.Force NuGet provides a .NET library for interacting with Salesforce Lightning REST APIs. 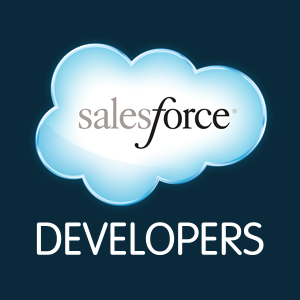 The DeveloperForce.Chatter NuGet provides a .NET library for interacting with the Salesforce Lightning Chatter APIs. NetStandard version of Force.com-Toolkit-for-NET from salesforce The Force.com Toolkits for .NET provides an easy way for .NET developers to interact with the Force.com & Chatter REST APIs using native libraries. This NuGet provides a .NET library for interacting with Salesforce's Force.com SOAP APIs. The DeveloperForce.NetCore.Force NuGet provides a .NET library for interacting with Salesforce's Force.com REST APIs Compatible with ASP.Net Core. Fody add-in for forcing referenced assemblies to be loaded on startup. This allows other modules to register types without actually having to using their types directly. A library containing representations for measurements like distance or velocity. Allows to generate c# class from salesforce object metadata. Provides api for running query, search, find against salesforce . Also allow create, update,delete salesforce objects. D3 Force (d3-force) binding library for Bridge.NET projects.